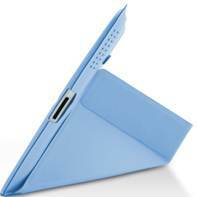 iPad cases & covers come in different shapes and sizes. From 2 piece bikinis to pharaonic style outfit, or for those who are into cars, from cabriole to Hummer style. As per Apple their products are a piece of art to exhibit in its naked glory rather than cover it up. But we mere mortals tend to cover it up and keep the beauty untouched for us to enjoy. 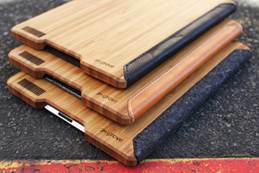 So market is fast to react and comes with lot of options for iPad casing. Apple has set a standard in designing covers by introducing Smart cover which cover only the screen leaving the back open. Apple Logo should be visible at any cost! 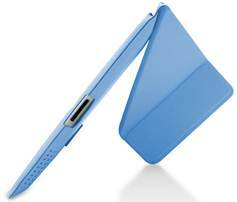 It should give a very good grip while holding the iPad (back side of iPad is aluminum finish with a very smooth surface which hardly offers any grip). All the interface ports and buttons of iPad should be easily accessible (If you use a thick cover Camera connector will give issues). 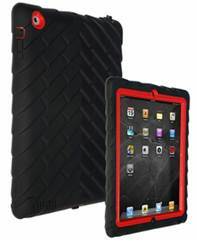 If you want to protect iPad from rough handling by kids use a rugged case which can absorb the shocks. Casings which covert your iPad to a laptop. 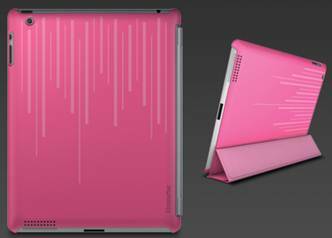 Apple set the directions for iPad casings by designing the smart cover which snaps into place using 21 magnets covering the screen and leaves the rear side of iPad uncovered. 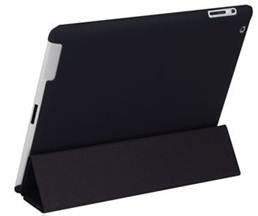 It is very easy to attach and detach the cover and it exhibits some additional features of waking up the iPad when open and putting it to sleep while closed. These covers can be folded back and use it for popping up your iPad while typing or while showing demos. Some of application like EverPeek, an educational game is designed to take advantage of this feature. But if you are thinking that your old smart cover will work you may be mistaken. There are unconfirmed reports that the old smart cover from Apple and smart covers from third parties are not working perfectly with the new iPad. Apple has changed the polarity for some of the magnets which are holding the cover. 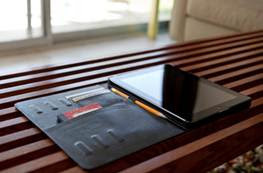 Some of the smart covers bought early days of 2011 have an issue with the new iPad, while folding back the cover to the back side of iPad the sensor works wrongly and your iPad will go for a sleep. Smart covers bought in later months of 2011 do not have this issue. 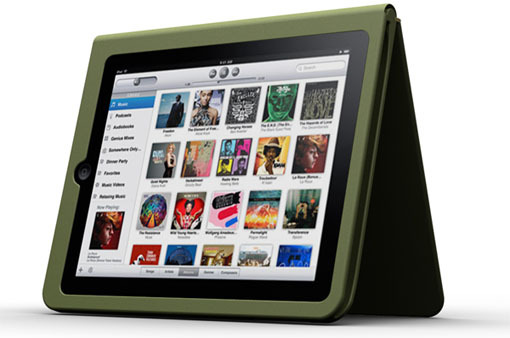 Do not select the smooth covers which offer hardly any grip. There are covers available which has a cut out to show Apple logo! This will help in cooling your iPad too. These types of covers are available from most of the manufactures and are cheap ($20 to $40). In my opinion this is the best cover you should go for. 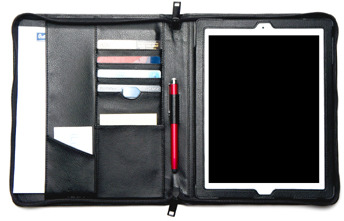 Folio covers are meant for those who still love traditional books and insist on iPad to look like one. Some of the covers have pockets for memo pads and pens etc. to carry on the nostalgia. This is no way convenient while using the iPad. 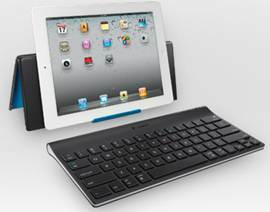 Logitech offers many iPad accessories. 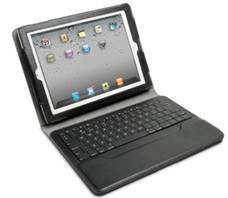 What is shown below is a Bluetooth keypad which is not attached to iPad but its case can be used for popping up the iPad while typing. It can be used with any models of iPad. The keypad has illuminated keys making it easier to type. This is useful if you using iPad for content consumption very often. 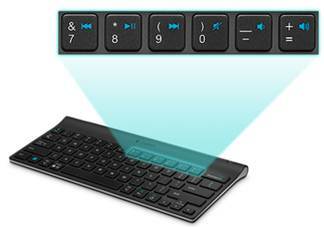 Typing with keypad may be faster than using the soft keys. It offers media keys for controlling the iPad as shown below. 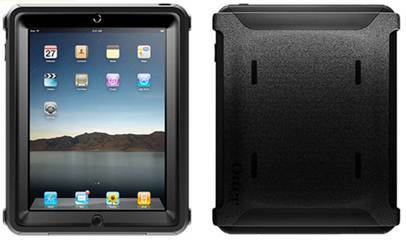 It does not really offer any protection for your iPad. So use other casing options to protect it. 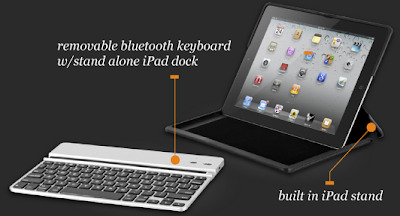 There is a similar keyboard from Kensington as shown below. 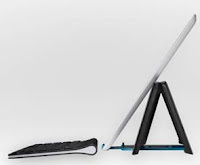 It has an adjustable stand that supports the iPad in landscape or portrait mode. The stand folds up to protect the keyboard, but not the tablet. 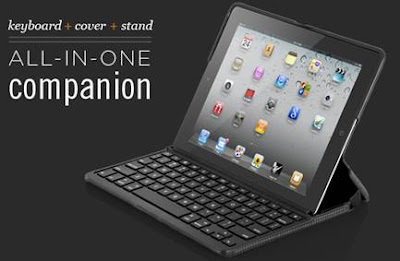 This is an interesting keyboard case which double up as a cover for iPad while not in use. 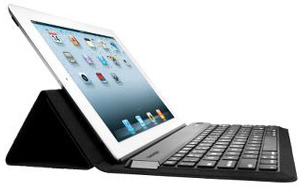 It can be used as a stand to pop up your iPad while typing. 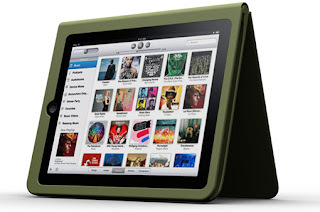 iPad can be easily removed and use it separately. 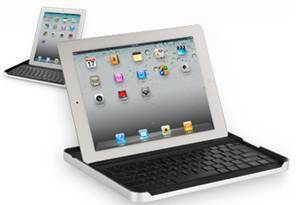 Zagg Folio keypad has a similar concept but it is attached to iPad. If you want your small kids to share the fun you have with iPad it is better to invest on some rugged casings so that it will absorb the shocks of rough usage. Gum drop Tech Series Case and Griffin Survivor are examples. 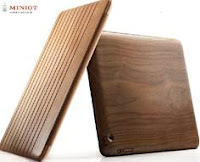 If you are an Environmentalist try one of these cases from Miniot or Grove. ILuv Profession Workstation is for those who are suffering from Nostalgia of laptops. This my appeal to those who hold on to the plastic seat cover of their newly purchased car. These are for people who generally enjoy unwrapping the cover daily, its look and feel. It secretly reminds them of the months they took to consummate their marriage!